Australian universities are well on the way towards establishing themselves as the cesspool of falsehoods and fraud regarding global warming and climate change. And John Cook of University of Queensland has again confirmed that Down Under academia has sketchy regard for ethics and morals. Here is a university that seems to condone fabrications and lies regarding science issues by hiring a person known for being truth-challenged. Plus, he's a person possessing questionable judgment skills (see here and here why he's dressed as a 'SS' Nazi, shown adjacent). Cook, who is also the proprietor of the 'Skeptical Science' web site, has now been exposed as literally posing in comments on certain blog postings as the famous theoretical physicist, Luboš Motl. Simply put, this is premeditated identity theft meant to deceive. This reprehensible behavior was done under the auspices of a Western Australia University's "scientific" experiment, prior to his Queensland employment. On top of that, Cook's fake comments misrepresented Motl's views about climate science - in other words, Cook just made up lies stuff. Certainly, global warming alarmists long ago jumped-the-Nazi, so to speak, which Cook's most recent bizarro revelations obviously confirm. Then there are the previous Cook episodes that expose the level of global warming alarmist "science" B.S. - see here, here, here and here. Then there is the University of Western Australia's ethics debacle in approving shoddy science by university employees and Cook's associates. This is the same university of the climate-doomsday cult that then decided to double-down on their support of the cult. Yikes! What's up with Australia, mates? That modern warming is not "accelerating"
That modern warming is not "unprecedented"
That modern warming is not "unequivocal"
Both Barack Obama and Nancy Pelosi wanted to force the U.S. economy to a regulated 'cap and trade' straitjacket policy for CO2 emissions. 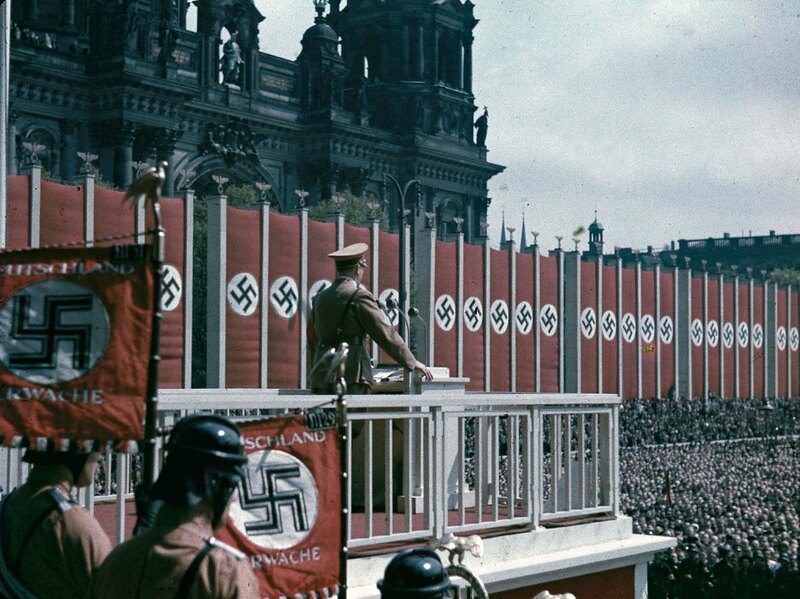 This was the failed scheme that Australia and the EU actively pursued, and the U.S Democrats wanted to mimic. The American public, and most Republicans, wanted nothing to do with 'cap & trade' straitjacket regulations, but instead desired a free market approach to reducing CO2 emissions. And, as it now turns out, the American public and Republicans were a lot smarter than Obama, Pelosi and the incredibly dull leaders of Australia and the EU. Since 2006, the U.S. has led the world in reducing CO2 emissions and did it without bureaucratic mandates that politicians across the globe love. Conclusion: The amazing and flexible free market in the U.S. has been responsible for the impressive and global-leading CO2 reductions, not the U.S. government and its stifling bureaucracy. Hey, with that said about the wrong-way Democrats, Nancy sure does look great though, eh? Read here. Good looking car, better looking battery charger - does she do maintenance too? The electric vehicle initiative from the Obama team has been a colossal example of failed leadership and the incompetence of a Democrat / liberal government. The inept Obama loaned Fisker, a Finnish company, tax-payer multi-millions to build a $100,000 plus vehicle in Finland, not in the U.S.
Sooo.....what could go wrong? Well, Consumer Reports discovered the real electric car "advantages" when its test Fisker EV went kaput after only 180 miles. Like all of Obama's green expenditures (billions of dollars over past three years) this was another failure that reveals why governments should not be wasting tax-payer dollars subsidizing Al Gore and wealthy consumers. p.s. Hey, can I keep the charger if my "Fisker" fails? Read here. 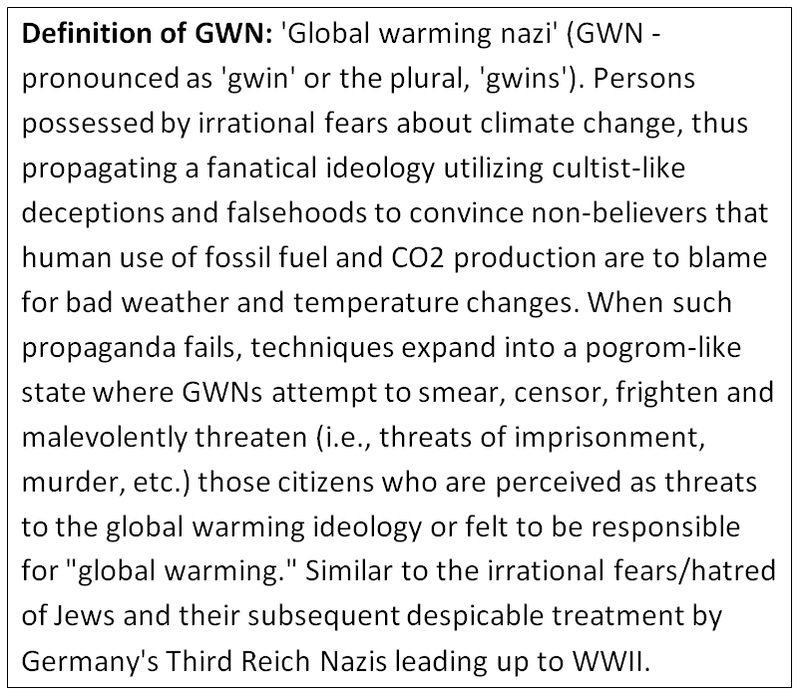 Peer reviewed research has newly identified the 'AGWCOD' syndrome, which may help explain why global warming hysteria has been such a powerful lure within the elite circles of scientists, bureaucrats, the mainstream press, Hollywood celebrities and the wealthy. "The main result is that...28 percent...of the patients suffer from the AGWOCD (anthropogenic global warming obsessive compulsive disorder). These patients were, among other things, checking their appliances "to reduce global warming". That's a pretty high percentage. The global warming hoax has become such a powerful component of the mental pathogenes in our environment that it is beginning to prevail in a whole major mental disease." Clear indicators of the disorder include a fanatical belief that modern temperatures are "accelerating," are "unprecedented" and "unequivocal," all of which have proven to be empirically false. In addition, this global warming / climate change disorder requires a blind faith acceptance of climate catastrophe predictions that are known to be demonstrably false by objective science and research experts. Conclusion: Climate liars and climate lies are the currency of the realm of elites, and unfortunately that has resulted in the public's growing mistrust in science, government and the press. Climate science facts the mainstream press hides or misrepresents: fabricating fake global warming, modern and historical temperature charts. Read here.The Powerline blog is reporting on a new site that is building a list of the threats, violence and crime being perpetrated by angry leftists, progressives, Democrats and greens at multiple 'Occupy Wall Street' demonstrations. The new site (www.owsexposed.com) has proven to be so popular it is being overwhelmed by hits, thus slowing its servers down or causing them to crash. Read here. There is the very misleadingly named web site, 'skepticalscience.com,' that is a major proponent of the establishment's global warming science fiasco. The site has always seemed to be a bastion of climate falsehoods, untruths and misinformation designed to specifically mislead the public - it's what some would refer to as propaganda with fundamentally evil intent. As an example of the misinformation, the 'SS' site continuously pushes the propaganda that climate models can produce accurate predictions, for not only short-term scenarios, but for exceedingly long-term climate scenarios. As 'C3' has long documented, computer climate models are robustly and spectacularly wrong for any climate prediction, for any time period, without any question. Computer climate simulations and models are sooo bad that even climate model experts admit their major shortcomings (as seen on the left - click to enlarge). Not so the 'SS' site. Its desire to mislead the public is so strong that it deleted the offending factual information on the left from its own comments section. Why? Because fundamentally evil, totalitarian mindsets cannot allow the public to witness the truth or empirical fact - that's their nature. A common tactic for the totalitarian mindset is to conclude that differing opinions and inconvenient facts must be the result of the mentally deranged, thus any information from these sources must be changed or erased, for fears the propaganda machine's "truth" will diluted. "The deletions carried out by Cook don’t make sense as an exercise in moderation. They seem driven by an ardent need to present a clean and neat view of global warming. Of a need to reassure that no intelligent discussions exist, and all possible questions have (long) been answered...By November 2009, Cook had arrived at a dramatically different viewpoint. He saw ‘global warming skepticism’ as a sort of a mental illness or a psychiatric condition, with the afflicted being beyond any hope. Psychologic diagnoses permeates his thinking from that point on...Cook voices his thoughts on the shift in a post in November 2009. It is hard to fathom, why, anybody who ran a website and worked hard at attracting and nurturing an online community, would commit the most fundamental of indiscretions with his readers’ comments – deleting and moulding them at his own whim." The totalitarian machinations found at the 'SS' site are typical of left/liberal/green "climate science" sites and blogs - the inconvenient empirical evidence and objective science must be smeared and/or eliminated. This is also very common within the left/liberal establishment MSM that constantly fabricates a "consensus" regarding global warming. Based on this video, would it be possible that your typical eugenics-loving progressive/liberal/leftist might actually be able to come to terms with climate science per the real empirical evidence versus theory only? Naaahhh! Read here. (h/t Tom Nelson) The green hysteria movement led by such shrill and depressing personalities as Al Gore, Joe Romm and Bill McKibben would make any young person feel pathologically hopeless, irritably moody and very angry. And as prisoners of government run education propaganda institutions these young people get a double, and sometimes triple, dose of daily hysteria about the world dying off because of global warming. The end result? A young generation that doesn't give a crap since life will soon end for them because almost certainly Gaia is going to kill them off at a early age - as they were made to believe. With that attitude instilled by the lunatic greens, is it any wonder that they go off and riot against the establishment? Maybe it's time to start holding each and every green organization legally responsible for the needless hysteria and over-the-top fearmongering they publish and proselytize, no? "Got kids? Watched as they've been indoctrinated - sorry, I mean educated - about global warming over the last decade? Then you'll know what I mean. They come home from school moodily depressed about the future of our planet and, of course, what that means for their own lives. What's the point? We're all doomed! Why study? Why bother getting an education? It's futile. Sea levels are rising. Temperatures are soaring. Soon we'll all be living in a polluted hell-hole constantly battling the equivalent of the Queensland floods or the Victorian bushfires year upon year. And you want me to waste what precious time I have left studying accountancy?...It's called nihilism, and it's even more terrifying to witness in your teenage children than hickeys, drunkenness, truancy, insolence, idleness, bad marks or bullying. Nihilism, or the conviction that life on Earth is totally pointless, saps the young of their energy, their ambition, and their will to strive, struggle and triumph." Read here. (h/t Tom Nelson) There are disciples that march in lock step with every leftist/progressive command. There are souls who never quaver in singing from the totalitarian hymnal.....Then there are the Al Gore lapdogs barking his faux-green hypocrisy, shedding his climate crocodile tears, spewing his anti-science propaganda - like Steve Colbert. While some 69% of Americans now reject the blatant lies of Gore, there are still the Hollywood useful idiots who can't stop believing - like Steve Colbert. 'Liar dudes' claim CO2 levels directly control (like a "thermostat") global temperatures and it doesn't. Read here. The massive hypocrisy of wealthy and political greens is universally known. Rajendra Pachauri, the IPCC's top "climate scientist" is supposedly a man devoted to Gaia, putting Mother Earth first. Unfortunately though, the material-man seems prone to being a proponent of actual environmental destruction, which is the ultimate green hypocrisy. Is he an international environmental criminal against humanity and Gaia? "[India's] Environment minister Jairam Ramesh…expressed regret over the construction of the Commonwealth Games Village on the ecologically-sensitive Yamuna bank…”The Games village should not have been given clearance. It stands right on the riverbed,”..."An oversight body, called the Comptroller and Auditor General (CAG), has been auditing the 2010 Commonwealth Games that were held in Delhi...it is being alleged that the government failed to ensure that “specific environmental concerns” were addressed during the construction of the Games Village near the Yamuna river...Indian environmentalists were opposed to that particular building site. But their initial High Court victory was overturned by the Supreme Court. According to a news article published last week, the Supreme court apparently allowed the Games Village construction to proceed after it received assurance from a government minister that a committee “would ensure that flagged environmental issues would be addressed.”...Pachauri was a member of said committee. But the auditors now say there’s no evidence it ever met." "...environmentalists in his own country have…launched their own attacks on a man they claim is harming endangered forests, depleting scarce water reserves and promoting power companies which emit the carbon gases that cause global warming." The fanatical greens are so disturbingly out of touch with reality they often make Ahmadinejad almost appear sane. In retrospect though, this type of green fanaticism and cult bizarreness should not be a surprise. "Stopping the expansion of Newcastle Port and NSW’s coal industry is essential if we are to ward off similar human tragedies such as that being experienced by Somalians today." Just for the record, thousands of years before the mass burning, let alone shipping, of coal, droughts and famines plagued the world. In addition, peer-reviewed research has proven there is no relationship between CO2 emissions and drought (or floods for that matter). The pathetic opportunism of politicians, combined with the green agenda idiocy, will seemingly never end - next thing you know, they will be blaming CO2 for deaths by polar bear attacks! Previous postings on drought and floods. Listing of severe-weather events. Read here. It certainly appears the UK police were in cahoots with the UK's Guardian newspaper in violation of various laws. The reporter has admitted to phone hacking voice mails illegally, and he also somehow obtained confidential information about a U.S. global warming skeptic blogger that only the UK police were in possession of. However, Jeff obviously has a different view. Jeff is not “bemused” by disclosure of personal information against his express wishes, particularly when, in his view, the disclosure of his personal information lacked any legitimate journalistic purpose and when there are reasonable grounds to suspect that personal information had been leaked to the Guardian by the police, that the police violated UK law in disclosing the personal information to the Guardian and that the Guardian knew that the police had violated UK law in giving the information to Leigh..."
The said reporter is with the Guardian, a non-Murdoch publication. The Guardian has close ties to the Climategate principals, which their heavily pro-alarmist, biased reporting reflects. It's almost to the point to being needless to say, but it sure seems the entire UK ruling class and elite establishment are rotten to the core. Read here. (h/t Instapundit) The progressive, big government politicians and their bureaucrat cohorts are as committed as ever to make normal day-to-day life as miserable as possible. The banning of incandescent light bulb manufacture in order to force consumers to an inferior product is a example of the petty, nanny-state big government that greens and other control freaks lobby for and enact. Their entire objective is to provide the legal means for bureaucrats and police forces to further interject anti-liberty pettiness into the daily lives of all. This classic Audi ad on the left was a humorous portrayal of what our lives will be like under the green boots of big government, 24/7 pettiness; the video on the right provides a real world glimpse of those pathetic, anti-liberty bureaucrats drunk on the power of pettiness, emboldened by state troopers to strip basic freedoms from Americans. Read here. (h/t Tom Nelson) The left's radical green group, Greenpeace, has been wildly successful at raising monies from a terrorized public and the rube politicians that populate the corridors of power in Washington D.C. Greenpeace learned long ago that the spigot of money just keeps on flowing as long as catastrophic doom and gloom scenarios are popularized, such as global warming and climate change. Principled people have left Greenpeace because of the never-ending money grub via its favored non-scientific, catastrophe-hysteria. Even so, since 1994, Greenpeace has been at the forefront of using typical bad weather events as sure signs that the "green gods" are in the process of catastrophic revenge due to man's prosperity. "In the 1994 Greenpeace released a publication called “The Climate Time Bomb Catalogue”. In it they state categorically that the burning of fossil fuels will cause all kinds of disasters. As you will see, all of these “disasters” and “unprecedented” weather events are not new and have occurred many times in the near and distant past. The Climate Time Bomb predictions of the awful consequences of global warming have failed. Even in light of these failures organizations like Greenpeace, the Sierra Club, the National Resources Defense Council and many others continue to pump out scary storm stories, animal extinction dramas and dangerous sea level rise predictions. They rely on people’s ignorance of historical weather events to sell their predictions of doom. What you will find as you read on is that nearly 20 years ago, environmentalists were using exactly the same propaganda scare stories we hear today. As Joseph Goebbels said “It (in this case the environmental movement) must confine itself to a few points and repeat them over and over”." Next time you hear a Greenpeace cultist proclaim that a snowstorm or flood or tornado or heat wave or other naturally occuring bad weather incident is a result of human-caused global warming, you'll know you are in the presence of a lying, shakedown artist of climate alarmism. Read here. Global warming scientists and alarmists are always trying to rationalize why the catastrophic AGW hypothesis is in continuous fail mode, and why the globe is cooling and not warming as they predicted. Besides the infamously lame "aerosols overwhelm CO2" excuse that is trotted out every few years by elite losers, the other favorite excuse is that global warming actually goes and hides in the deep ocean basins, where no one can ever seem to find it. The "warming is hiding" hypothesis is also fairly lame as the latest evidence reveals, which is not a surprise since only greens/lefties/liberals believe it. "Data from Catlin Arctic Survey 2011, collected during an eight-week expedition from March to May, indicates the temperature of Arctic seawater below 200 metres depth has decreased by a ‘surprising’ one degree Celsius in comparison with previous observations...“What was most surprising was the degree of change; even the most incremental differences in ocean temperatures matter. To put this temperature change in context, global sea temperatures rose by only 0.25 of a degree Celsius in the last 30 to 40 years but this was enough for the IPCC’s Fourth Assessment Report to state the oceans are warming.”"
Read here. Another excellent synopsis by Walter Russell Mead of Al Gore and his anti-CO2 movement, which has failed miserably, unless wasting billions of dollars and untold human-hours is the ultimate sign of success. Not sure if Mead is properly designated as an intellectual, but his analysis is exquisite, clearly stating how the whole house of CO2-cards was stillborn from conception. He puts it into a contextual comparison to another infamous failure, the 1920's Kellog-Briand pact that was to outlaw war - forever. That treaty was an absolute flop just like the moronic Kyoto CO2 treaty. Anyways, a great read and it explains why Gore is now only found in the pages of the Rolling Stone publication instead of on the UN's podium. Thank goodness for small miracles. Mead's part 1 analysis can be found here. Read here. Without a doubt, Democrats/liberals/leftists/progressives are committed to proving to the public that they might be dumbest "elites" ever conceived. The global warming and climate change debate continues to provide the pertinent evidence that leftist-types are either stupendously stupid or hysterically anti-science. Why would any person possessed with a modicum of common sense, with both feet firmly planted on terra firma, suggest that Mt. Rainier is currently short on snow and snow pack? My god, these people are sooo stupid, no? Again, thanks Al for helping the skeptic cause. A must read here. Just flat out excellent and well written analysis of Al Gore and his demonstrable failure at winning the hearts and mind of the public and body politic. Why did ManBearPig fail? As they say, read the whole thing but 'carbon pig' is the essential characteristic that guaranteed 'fail'. Thank you, Al, for being the AGW watermelons' worst enemy. "Once out of office, he assumed the leadership of the global green movement, steering that movement into a tsunami of defeat that, when the debris is finally cleared away, will loom as one of the greatest failures of civil society in all time." "Gore has the Midas touch in reverse; objects of great value (Nobel prizes, Oscars) turn dull and leaden at his touch. Few celebrity cause leaders have had more or better publicity than Gore has had for his climate advocacy. Hailed by the world press, lionized by the entertainment community and the Global Assemblage of the Great and the Good as incarnated in the Nobel Peace Prize committee, he has nevertheless seen the movement he led flounder from one inglorious defeat to the next." "A television preacher can eat too many french fries, watch too much cheesy TV and neglect his kids in the quest for global fame. But he cannot indulge in drug fueled trysts with male prostitutes while preaching conservative Christian doctrine. The head of Mothers Against Drunk Driving cannot be convicted of driving while under the influence. The head of the IRS cannot be a tax cheat. The most visible leader of the world’s green movement cannot live a life of conspicuous consumption, spewing far more carbon into the atmosphere than almost all of those he castigates for their wasteful ways. Mr. Top Green can’t also be a carbon pig." Read here. Timothy Wirth, a UN sponsor of climate-lies and political partisan extraordinaire, is a big government, global governance type who is upset that a majority of the IPCC's "consensus science" has been found to be bogus or suffering from extreme exaggerations. This has led Wirth, president of the UN Foundation, to level threats towards AGW skeptics, those inconvenient messengers of the failed IPCC science. “Third, we have to, I think, again as I’ve suggested before, undertake an aggressive program to go after those who are among the deniers, who are putting out these mistruths, and really call them for what they’re doing and make a battle out of it." So what do Romney and Huntsman have to do with a UN, big government, climate-lies raconteur, green-fascist like Wirth? Well...these two spineless GOP hopefuls won't stand up and demand a stop to this level of rhetoric and implied threats. Don't hold your breath because you're not likely to hear them diss the UN's IPCC and an apparatchik like Wirth. Why? Is it because, Romney and Huntsman are big government, liberal Republicans who both favor a stronger bureaucracy, more spending, increased taxes, and greater micro-management over the economy? Or is it due to their complete lack of spines and courage to face down the liberal establishment, like a Reagan or even a Palin could effectively do? These two GOP hopefuls are no Reagan or Palin, for sure. More likely, the simple facts are that Romney and Huntsman agree with Wirth and other green-fascists and global governance types; plus, they don't want to upset their potential presidential campaign contributors, such as Soros and Gore. And by the way, does anyone remember Romney and Huntsman speaking out and condemning this type of green-fascist threats that was widely circulated via YouTube and strongly criticized by conservatives, libertarians and independents at the time? Nope, didn't think so. With no backbone, these two GOP contenders always go AWOL when faced with left/liberal/progressive totalitarian instincts. We've long contended that leftists/liberals/greens are some of the dumbest, most anti-science, hysterical persons populating the planet. They also consistently exhibit a love for fascist and totalitarian styles of violence. The latest example of greens' stupidity, hate and violence? Jill Singer of Australia. What a charming individual and country. We've added her infamous 'final solution' quote to the historical record of greenie craziness: their desires and objectives. Update: And...let's not forget the Australian green-fascist who wants this done to skeptics. Additional left-liberal-green postings about their anti-science/hysteria/stupidity/hate. 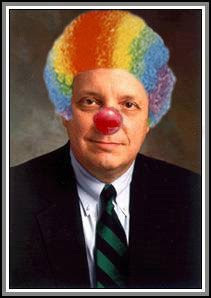 Extreme Weather & AGW: Is Sen. Lieberman Just Dumb? Senile? Or, Are All Liberals/Leftists Just Anti-Science? Read here. Senator Lieberman, a Democrat from the state of Connecticut, has for years been a hysterical global warming alarmist, constantly pushing CO2 emissions legislation, regulation and taxes. His latest "climate science" idiocy is that human CO2-induced global warming is causing this year's extreme weather (ie, tornadoes, floods, etc.) in the U.S., thus we need "climate change" legislation. Honestly, are liberals really this incredibly stupid? Is it just science ignorance? Or, are Sen. Lieberman's climate/weather claims just another indication of the natural progressive/liberal mindset, a true disdain for empirical science no matter how monstrously stupid it appears to the rest of us? The Left/Liberal Bizarro, Anti-Science Hyperbole Continues: Lefty Blogger Romm Calls CO2 Growth "Super-Exponential"
The three charts above depict atmospheric CO2 growth in different formats. Indeed, the CO2 levels are increasing, per the seasonal corrected measurement data since late 1958. The growth of CO2 level is fairly monotonous, and, yes, the growth rate has increased over time. But there is absolutely no objective, numerical evidence that CO2 growth is on an exponential path, let alone a "super-exponential, accelerating" growth, whatever the hell that is since it's non-scientific terminology (did we say anti-science propaganda yet?). Ooops...ahem...The Romm claim of super-exponential growth is pure anti-science propaganda! In addition, way back in summer of 1988, James Hansen provided testimony that if CO2 levels continued growing in a "business as usual" manner, the globe would suffer from significant warming. On the top chart above is marked when Hansen's testimony occurred, which clearly indicates Hansen's prediction (a non-exponential prediction, btw) about CO2 growth was prescient. His CO2 prediction was at least reality-based, unlike Romm's anti-science ramblings. And fortunately for the world, Hansen's climate model temperature prediction, and leftist scare hypebole, that global temperatures would warm significantly due to "business as usual" was an utter failure, as we now know. Update: Total CO2 emissions through 2010. "Business as usual" growth, but not exponential. Addtional greenhouse gas postings and greenhouse gas charts. Read here. View original cartoon here.